The benefits and drawbacks of five "passive" & additional income sources for artists. Diversifying your income as an artist allows you to take the pressure off purely production and gives you the time and freedom to pursue new creative projects, while still having a steady income. It also allows for fluctuations in profits from each platform, without stressing out over whether one bad month selling at art fairs is going to leave you unable to pay the bills. If you start looking at your artwork and talents as asset creation rather than building your week around a set number of hours or events, you can start planting the seeds for multiple revenue streams over the long term. 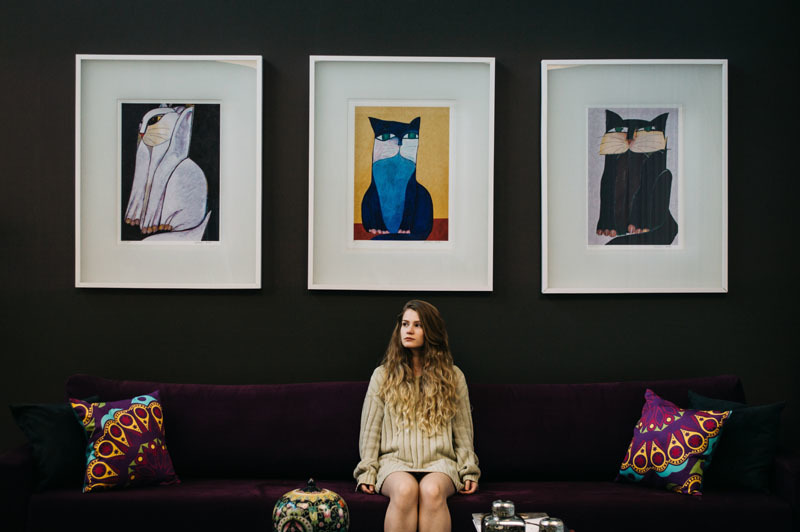 Here are just a few of the ways you can monetize your artwork beyond online and gallery sales and gain more freedom and flexibility. Prints are a great option for customers who love your artwork and imagery, but might not be able to afford it yet. On the other hand, prints are great for artists because it allows for passive income for your business. This means that you do the majority of the work up front and then continue to get money through print sales. Of course, it will require some occasional ongoing promotion on social media to keep the sales up, but passive income requires considerably less effort and more flexibility than creating a new, original artwork. You can mark that you have prints available of a piece on your Artwork Archive profile, or use one of the many print-on-demand sites. Print-on-demand sites like Society6, Redbubble, Fine Art America, along with countless others, allow artists to easily print their artwork on phone cases, totes, clothing, linens, wall art and more, for a small commission fee. The benefits: Prints and print-on-demand objects are easy to create with some work up front. You can find a new audience with prints and focus. Having your prints listed on Artwork Archive or on a print-on-demand platform increases your exposure and new collectors might notice and reach out about custom or original pieces. The drawbacks: There is a lot of noise on print-on-demand sites like Society6. It can be difficult to stand out among the thousands of artists and artworks. Successful artists on these sites spend a lot of time up front promoting their profiles, interacting on social media and creating unique sales opportunities. 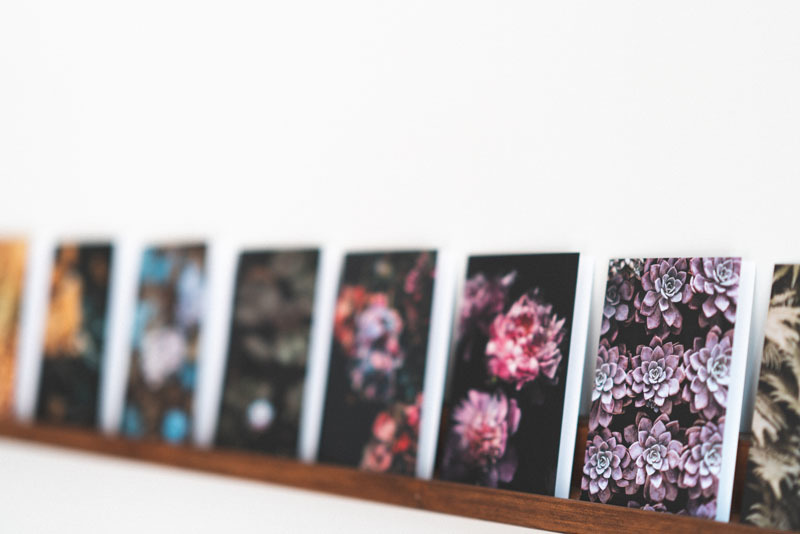 The profit margin can also be low on prints or print-on-demand objects like cards. You may have to spend money up front for the products that may only return a few dollars on each purchase. Tip: Be active! Let your fans know what you just posted on you Artwork Archive portfolio by sharing it on your Facebook page or Instagram profile. You can even create some urgency around your prints by doing 24-hour limited edition sales. Give your followers a heads up about when your prints will be on sale and generate a buzz around the sale for a week or so beforehand. Then, put your limited edition print (ex: 100-200 prints) up for sale. Do you have a passion for teaching others the skills you have learned? Workshops are not only a great way to diversify your income, it’s an opportunity to educate others about the skills it takes to create your work. It’s also an opportunity to engage with the community and have a social aspect to your otherwise solitary art practice. Workshops can be revitalizing and give new energy and purpose to your own work when you see the passion sparked in new students. For artists who still want to maintain a full-time studio path instead of a classroom route, but still enjoy art education, workshops are the perfect solution. If you have your own studio and enough space and materials to host a small workshop, the overhead is generally low. Alternatively, you can seek out studios to partner with and split the enrollment fees. This generally happens if you require a lot of equipment—say you are a potter and need 12 wheels—you would partner with usually an arts center and travel to teach a workshop. You can even build your schedule around travel opportunities! Seek out studios and opportunities across the globe, do some outreach and fund your next international vacation by teaching a workshop. The benefits: Establish your name among potential new collectors and your peers. Potential to travel, learn and share your craft with others. Create a significant amount of income in a few days without material fees. If you host the workshop in your own studio, you will often see a boost in your sales as well as participants. There isn’t a large time commitment. Gain teaching experience that leads to more opportunities. The drawbacks: Advance planning and physical space needed. Most beneficial for mid-late career artists who demand a higher tuition rate. Tip: Make sure you have a clearly defined focus for your workshop, are teaching at your level within your skill level and specialty. Maybe even give it a practice run with a few friends for feedback. Read here for more ideas on how to get prepared for your first artist workshop. Decide which category your workshop will fall into and don’t forget to list your workshop on call-for-entry sites like Artwork Archive’s calls page. Calls pages like this help get your workshop in front of thousands of artists and they often market opportunities, so you benefit from cross-promotion and campaigns. If you like the idea of teaching, but don’t have the physical space to host events or don’t like the idea of traveling, you may want to consider taking that curriculum online. There are lots of sites online where new artists are looking to expand their knowledge by either watching video tutorials or downloading instructional books from professional artists. Just about anyone with an artform can benefit from teaching classes online. Or, if you don’t want to be an on-screen personality, an instructional ebook is another way to create an educational resource to add to your passive income as an artist. Don't know where to get started? Consider if you want to self-host your content or upload it to an established site like Skillshare. There is some cost/benefit analysis to be made: self-hosting may be a greater investment up front, but you don’t have to pay commission on every enrollment. However, brands like Skillshare bring in large audiences and have the time and resources to market their courses. Marketplace options like Skillshare won’t charge you up front but will pay a royalty on your courses. And, don’t forget that with tools like Instagram and Facebook Live you can start building a following for your courses and test-drive ideas for classes or tutorials. For artists that prefer writing, there are an endless amount of guides you can create for download. Check out these 32 places to upload your ebook and get started. If you are computer challenged or not design-inclined, you can always download an ebook template! The benefits: Passive income as downloads for e-books or enrollment in an e-learning course. A chance to build your brand and grow your name. Opportunities for cross-promotion with your other income sources: prints, artwork, workshops etc. The drawbacks: No face-to-face time with your students. No real control over the skill level/experience of your class. Better for the tech-savvy crowd. You can earn royalties from your work by licensing it to retailers or brands. Imagine the aisles of your favorite store lined with images of your artwork on their products. Sound exciting? Not only does it get your art business some pretty big publicity, but it’s a fun way to make money from your original artwork. Learn how to put together an effective portfolio to get started licensing your artwork. You could also go the route of selling your images and designs straight to a stock agency. If you can build a strong portfolio of commercial work, the royalties quickly add up in monthly revenue on top sites like Getty images, AdobeStock and Shutterstock—with little ongoing effort on your part. The benefits: Passive income in the form of royalties. Associate your name with top brands. The drawbacks: Commercial and on-trend work tends to perform better. Will need to file copyrights for those images, which can be expensive. Royalty rates can vary. Tips: Read your contracts thoroughly. Look out for any wording that includes non-exclusive or exclusive rights. Unless it is the opportunity of a lifetime, you will want non-exclusive rights so that you can sell your images elsewhere and on multiple platforms. It can be more cost effective to copyright your images in collections of images. You can use Artwork Archive to easily group, categorize and present your collections with all the necessary information. Then, track your contracts and growth with insights. Make sure that you retain all copyrights to your artwork and look for a fair royalty rate. There are a number of factors that go into determining a fair royalty rate such as volume, popularity and the type of product being sold. Maria Brophy has a great guide on how to calculate a fair price and make sure you are getting what you deserve in a licensing deal. Become an influencer through social media, YouTube, and blogging. Have you already built up a large following on your social media accounts? Do you spend all your extra time posting, liking, scrolling, and connecting with other artists on Instagram? You could be making extra money or getting art supplies by collaborating with companies to post sponsored content. You can also use your account to advertise your own ebooks, courses, artwork, and prints. Artists who build a loyal following through genuine content on their social feeds often sell work as soon as they post it on Instagram. Beyond advertising, having a strong presence on social media or through blogging or youtube helps buyers find your artwork through building your SEO and ranking your work higher in the search results. The benefits: Can lead to significant income. Working with art suppliers and brands that you support. The drawbacks: Make sure you believe in the brands that you partner with as they will reflect on your own brand. Try not to use ads in your feed sparingly. Stick to about 80% original content and 20% max sponsored content. Don’t expect overnight success. Many successful accounts that you see took years to grow before making a significant income from advertisements. Tip: You don’t need millions of followers before you start earning from your accounts. However, some ways to grow your account include doing a giveaway where fans have to follow your account to be in the raffle, posting works in progress and engaging with other artists. You can also get matched up with a brand that fits your account on platforms such as Influence.co. Don’t forget to have fun and be yourself. Your accounts are an extension of your voice and vision as an artist. Do you have any experience with these methods? Let us know what worked or didn't work for your art business below! An inventory project can seem overwhelming. Where do you even begin? Here are 8 tips for taking that first step. Missing out on the benefits of the Public Page because you don’t want to make the wrong artwork or info public? Follow our guidelines to share just what you want.